Do your energy healing tools wind up as shelf decorations. Is your time and money invested wisely in energy healing tools. Learn why The School of Chi Energy training tools have long term practical application for energy training and cultivation for both you and your clients. 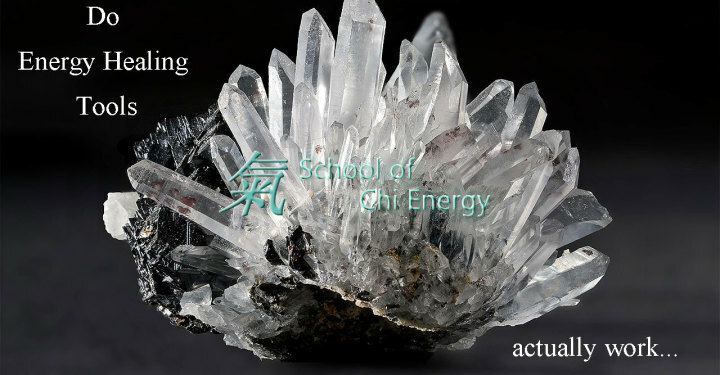 Listen to The School of Chi Energy Sifus’ discuss some of their popular energy healing tools they have used in energy training and how well those tools performed. Welcome to a unique online Chi Energy School that teaches the beginner up to the professional energy cultivation exercises for advanced abilities and healing techniques. Our students learn how to cultivate energy by building up their body’s nerve fibers to guide a good feeling and cool energy into a powerful tangible form. These energy forms are used by the student to change their body’s inner temperature and emotional content. This ability to control their internal temperature prepares the student to handle more energy in order to reach the higher levels in cultivating chi. Chi Energy Cultivation and maximizing results can be a reality by learning how to build up your body’s nerve fibers to release more biophotons. Biophotons are a type of light with an electrical magnetic component. By transferring a cool temperature and good feeling into these biophotons, they can be molded into a real tangible form of energy overtime. It is this type of Chi Energy Cultivation method that can maximize results building chi in 30 minutes a day that you can learn and develop to perform advanced abilities and healing techniques.